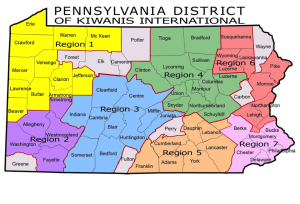 The Pennsylvania District is divided into divisions that are managed by lieutenant governors. The lieutenant governor is responsible for servicing the needs of the clubs in his/her division by visiting, counseling, assisting, getting clubs involved in district and division projects, and evaluating club progress. The lieutenant governor is the club’s primary liaison to the district. He/she can share ideas and recommend strategies for club management questions. The Kiwanis Zone Administrator assists the Lt. Governor with their assigned duties and relationship with sponsoring Kiwanis Clubs in the division.